Within about 35 years, motorists on U.S. roads will be driving about one trillion more miles than they are driving today, according to a recent report from KPMG (an international auditing corporation). 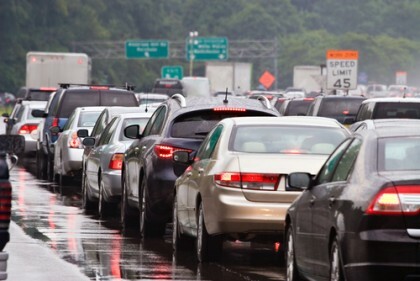 In fact, while motorists will have driven about 2 trillion miles on U.S. roads by the end of 2015, by the end of 2050, researchers expect that this total will climb to 3 trillion miles. The development and introduction of self-driving vehicles, which could come to market in as soon as 5 to 10 years. Those increases would have a profound but unknown impact on vehicle sales, car ownership models, energy demand, and infrastructure…To be quite frank, I’m not sure people understand the enormity of the change, nor are we ready for it. Younger and older individuals (rather than middle-age individuals) will be primarily responsible for the surge in miles driven. For these two demographics, the increase in miles driven will not be due to the fact that these individuals are actually behind the wheel more often. Instead, it will likely be due to the growing reliance on ride sharing services and, when available, self-driving vehicles. And these findings will likely open up an opportunity for automakers to focus on innovative solutions for adapting to these predicted changes and potentially create a new driving experience for consumers. What do you think about these findings and predictions? Share your opinions with us on Facebook & Google+. If you have been hurt in a traffic crash, you can rely on a Portland car accident lawyer at the Savage Law Firm for experienced help and aggressive legal advocacy. For well over three decades, our lawyers have been committed to providing each of our clients with personal attention and the highest quality legal services. This gives them the insight and resources you can rely on when you need help with your financial recovery following a traffic collision.